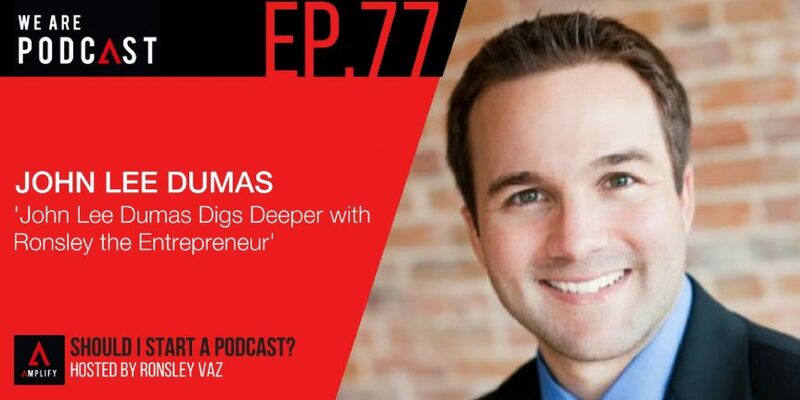 John Lee Dumas is the founder and host of EOFire, an award-winning podcast where he interviews today’s most successful entrepreneurs seven days a week. In four years, JLD has grown EOFire into a multi-million dollar a year business with over 1600 interviews and 1.5 million monthly listens. JLD is the author of The Freedom Journal: Accomplish your #1 goal in 100 days, which became the sixth most funded publishing campaign of all time on Kickstarter and has over 21,000 sales to date. His latest project is The Mastery Journal: Master productivity, discipline and focus in 100 days. Born in the state of Maine in America, educated at Providence College in Rhode Island, U.S. Army Officer, law school dropout and corporate America failure would best describe JLD’s first 32 years, before launching EOFire in 2012 with the goal of inspiring millions. JLD will be the keynote speaker at the We Are Podcast 2017 conference, the first podcasting conference in the southern hemisphere, created by host Ronsley Vaz.